Passport to Dry Creek Valley is an annual event showcasing the wineries, vineyards and exceptional beauty of Dry Creek Valley. 45+ wineries up and down the valley will celebrate their magic with amazing wine, incredible food and their famous Dry Creek Valley hospitality. You must enter the drawing to receive tickets. Enjoy a Big Easy Party Seghesio Style! Featuring special guests Mister Gary and Uncle Cotton from New Orleans. Cajun BBQ Ribs, Seafood Gumbo with Andouille Sausage, Tasso Shrimp Fettuccini and traditional Beignets for dessert—paired with what we do best, Zinfandel and Italian varietals. Don't miss the best music in town with Andre Thierry & Zydeco Magic. Laissez les bons temps rouler! Live music, entertainment, wine tasting, local cuisine, food booths, crafts fair, exhibits, raffle prizes and more. Free parking. Leashed pets welcome. Please join the Geyserville Chamber of Commerce and our community for the Annual May Day Festival. This down home event will have something for everyone! 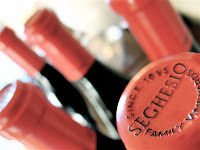 Music, kid's games, great food, local wines & family fun. Experience Spring fever in full bloom, as farms from Healdsburg to Petaluma open their gates and barnyard doors to offer a behind-the-scenes peek at Sonoma County's finest food and agriculture. You'll meet the farmers who grow your food and actively support the preservation of the county's rich agricultural heritage. 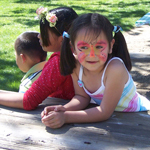 ChickenQue is the only fundraiser for Sonoma County 4-H. It is a one day event: a barbecue with live music and dancing, booths with 4-H'ers showing off their hard work, games on the lawn, and a chance to visit with 7000 of your neighbors. All proceeds benefit the youth of Sonoma County, allowing the 4-H Council to put on events like Presentation Day and Fashion Revue, to pay for 4-H Camp, to give scholarships, and allow youth to attend conferences. 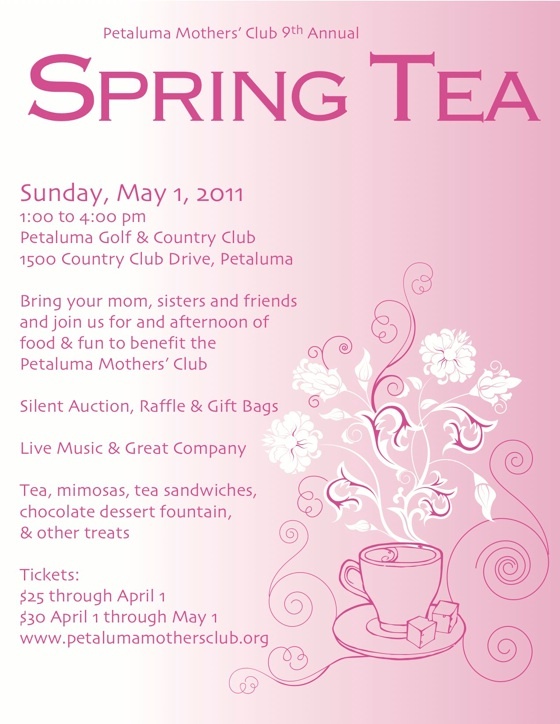 The Petaluma Mothers’ Club Annual Spring Tea Share tea, mimosas, tea sandwiches and other treats, plus indulge in a chocolate dessert fountain! 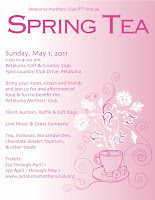 Participate in the Silent Auction and Raffle and live music.